I have been attempting to do buttermilk pancakes from scratch for a while now and experimenting is the key, I must say. The basic foundation is pretty much the same as any recipe. It’s just a matter of little bit of this and a little less of that, to find that perfect balance. But it’s all a personal preference, really. After many tries, I think I have found what works for me. 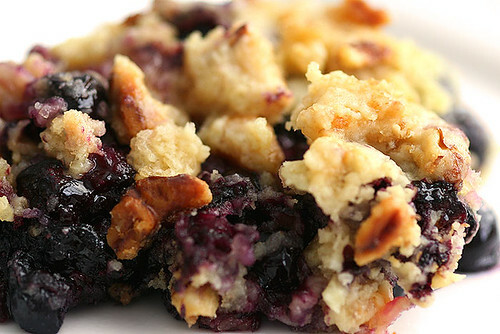 Light and fluffy and bursting with flavor. Definitely beats the boxed stuff any day. Of course, regular milk works but I really prefer the subtle flavors of buttermilk and have gotten used to doing it this way, everytime. It takes a little bit more work and care, though, to make the “perfect” pancake. For one, you must not over mix the batter, which I know I have done one too many times. And be vigilant about cooking it in perfect timing without any burning or under cooking. Time really depends on individual circumstances (i.e. type of stove, etc.) that’s why I don’t like to say to cook it for so many minutes before flipping over. You must learn to feel things yourself. Takes a little practice, for sure. And so with this recipe, I want to give a final word to a couple of old ladies: Aunt Jemima… the family is now officially disowning you. Oh, and Mrs. Butterworth… it’s been nice knowing you, too. In one mixing bowl, combine flour, sugar, salt, baking powder and baking soda. In a second bowl, add butter and microwave for a few seconds to melt completely. Then add buttermilk, egg and vanilla extract and whisk together. Add the liquid ingredients into the dry bowl and mix for about half a minute or so, or just when everything is combined but still lumpy. Do not over mix. Set aside. Now, heat a griddle in medium heat. When fully heated (a few minutes), lightly grease the surface with butter, oil or cooking spray. Pour batter and cook in batches. When bubbling appears, it’s time to flip. Cook the other side for less than the time you cooked the first side. Peek underneath every now and then to make sure you don’t overcook. 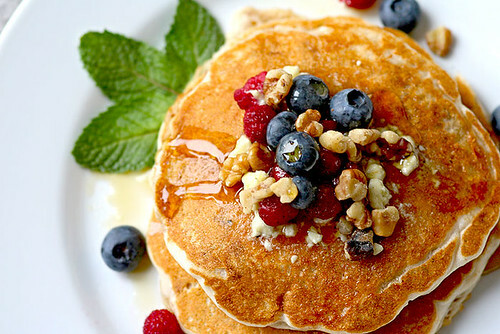 Serve with maple syrup, butter, berries, walnuts and what have you. Just a little picker-upper to get you going. Anytime of day, in fact! 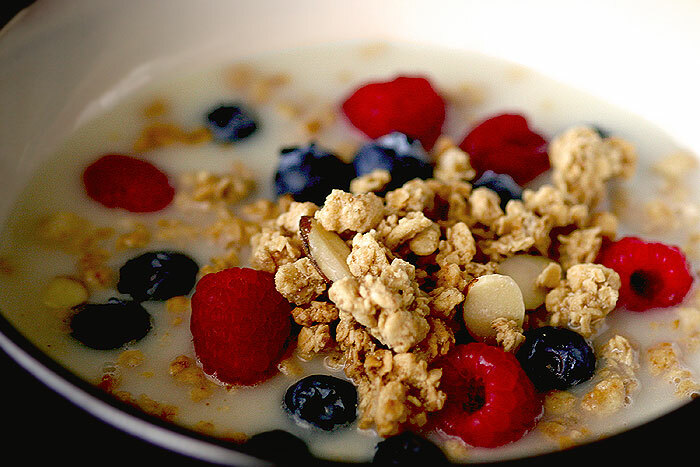 Try this… toffee almond granola, mixed berries and organic rice milk. Good stuff! In my own little gesture of gratitude to the brave folks that help keep the freedom alive in this magnificent country, I have put a little more thought into my breakfast this morning other than just brewing coffee. 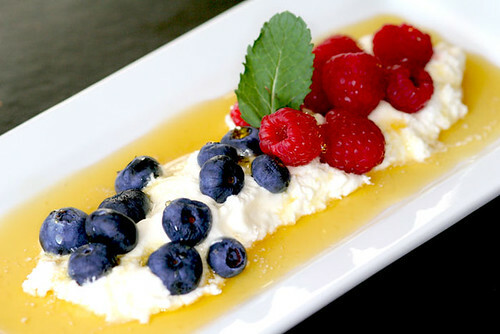 This simple cocktail of blueberries, raspberries, fat-free whipped cream, and organic pure maple syrup is my hand salute! And trust me, the pleasure is mine. So, in the spirit of Veterans Day, I say cheers to the red, white and brew!